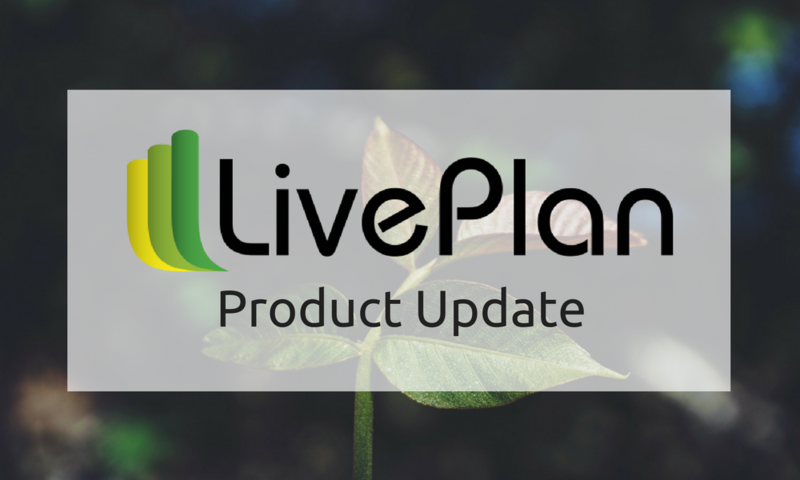 LivePlan has some new updates: You can now copy forecast items, add links to your business plan text, and manage GDPR compliance. Here are the details on what’s new this month. Your options for business funding will be different depending on what type of company you’re starting. If you’re looking for information on how to get funding for a business, here are the different types of funding you should consider. Goal setting is a delicate balance between managing realistic expectations and thinking big. Here’s how to set goals for your business—and actually achieve them. We’re excited to announce that we’ve added a “print to PDF” feature to the LivePlan pitch. You can now easily download a PDF of your pitch in seconds and print it or share it via email—or any other way you’d like to distribute copies for review and feedback. Industry benchmarks are a great tool to measure your company’s performance against similar businesses, but they can also be used by startups to help with forecasting and budgeting, and ultimately, to help drive business growth. Here’s how to use them effectively. You most likely take a deep look at your business numbers once every three months—but reviewing your key numbers only once a quarter can limit your opportunities. However, there’s a simple solution you can use to improve your company, making it more nimble and agile than your competition. Now that we’re well into the beginning of 2019, there are some small business trends that seem to be on the horizon that small businesses and startups should pay attention to. Mass communication, and even personalized communication, isn’t going to foster true connection with your customers. The key to authentic connection? Relevant communication. Learn the key difference between personalized and relevant communication, and how to create it within your business. Cash is the lifeblood of every business—and understanding your cash flow statement will keep your business alive. Here’s how to make sense of your cash flow statement (and how a cash flow statement differs from a cash flow forecast).